The UK’s railways are the most heavily congested in Europe. Having doubled in the past 20 years, another doubling in demand is forecast over the next 25. At present, there are areas of the network that are running on infrastructure dating back to the Victorian era. It seems the rail industry has a lot to do, in terms of digital acceleration, if it is ever going to meet the demands it is facing. The UK’s railway infrastructure may be the most heavily congested – and oldest – network in Europe, but statistics show that the UK’s railways are also the safest. Major infrastructure works, such as Crossrail and HS2 are actively supporting and enhancing this position of rail safety, while also helping alleviate the pressures on other areas of rail infrastructure. Upon completion, these projects will make travel easier for passengers, while enabling the industry to be more productive and efficient in further infrastructure upgrades. Of course, technology is playing a perpetually increasing role in the rail industry’s plan to move towards a completely digital railway – and digital future. The UK’s railway transformation programme – Digital Railway – is utilising digital systems to ensure that the capacity challenge, infrastructure demands and rail safety are met sooner, rather than later. What’s more, the Digital Railway programme also aims to secure more jobs, more trains and greater regional and national growth. Understandably, there is still work to be done before the industry’s goals for the UK railways are achieved, but the velocity at which change has become so visible in rail – this year alone – is exponential. Network Rail’s standards are making the implementation of digital solutions more imperative than ever before. We noted this last year during our work for the 019 Standard (NR/L2/OHS/019, v.9) changes have enabled us to realise how fundamentally vital it is for the rail industry to have access to a powerful digital platform that supports the safe planning and delivery of work, if Network Rail’s standards are going to be adhered to as intended. To support Network Rail and the wider rail industry, both during the 019 Standard implementation period, and on its journey towards an entirely digital future, we have made significant changes to our RailHub suite. This work has encouraged us to continually evolve and adapt to the speed at which the UK rail industry is changing. The UK rail industry is often told to look to other industries for inspiration, particularly with regards to innovation and taking greater leaps in securing its digital future. However, having spent a decade working alongside our customers in the rail industry, and seeing first-hand the industry-wide action taking place, we politely disagree. Like we said, rail is well on its way, and if the industry is going to continue this journey towards a completely digital future, then it needs to look no further than itself. We have certainly taken inspiration from the massive changes we’ve seen across the rail industry, and our 2018 change in digital profile is as a result of our decision to ‘be more rail’. At OnTrac, we’re passionate about the industry we serve and the products we’ve created, adapted and grown over the past 10 years and our decision to ‘be more rail’ has come about because of – not just our continued dedication to our customer base – but also our deep understanding of rail, its pain points and knowing how our software can be utilised to ensure our customers remain on the right track for their own digital futures. Last year’s 019 Standard upgrades allowed us to put this ethos into actualisation. We realised that both communication and collaboration were poignant pain points that Network Rail were looking to resolve. As a result, we upgraded our popular RailHub platform to feature a new collaboration tool within SWP that enables entire teams to work together more seamlessly, regardless of where they are in the rail network. Inspired by the popular social messaging tool, WhatsApp, OnTrac’s bespoke SWP collaboration tool harnesses the power of social communication, enabling people within the rail industry to work more seamlessly and productively. Rail industry-wide collaboration is something we have long-championed at OnTrac. Using data to drive better decisions is, after all, at the core of what we do. Our team, thus, have been creating a collaborative and comprehensive database alongside our existing customers that lists both site tasks and site risks (alongside an industry standard permit library) all in a single place. This data integration aligns with Network Rail’s long-term vision for the rail industry and allows our customers to better predict and prevent potential risks. This encourages industry-wide collaboration, paving the way for improved productivity and better maintenance of infrastructure throughout the UK. The rail industry’s digital acceleration has increased over the past year, and it would be easy to fall into the same trap as others in predicting what’s next for the industry. As we’ve learned: the rail industry is as surprising as it is innovative. Therefore, OnTrac aim to continue to look at the industry – and our customers – in our aims to meet their demands with digital excellence. We are passionate about the rail industry, and while we weren’t able to exhibit at industry events such as Railtex and the National Rail Conference, many members of our team attended – and continue to attend – events up and down the country. Other members of our team – specifically our PR & Communications department – watch rail events unfold eagerly online and have – and continue to – engage with the subsequent topics and hashtags as they arise. Discussing these and all events with our customers – as well as other well-respected individuals across the rail industry – both in person and online, ensures that we are continually learning a great deal about what the industry wants and needs moving forward. While virtual reality, augmented reality certainly play a prominent role in the discourse surrounding the rail industry’s future, this is not as immediate as the demand for smartphone integration and mobile app platforms that have the ability to maximise the rail industry’s potential. With the rail industry focused on streamlining its processes to become more productive and efficient, it certainly makes sense that the demand for apps to facilitate the change to a digital railway is increasing. Our own products have long been available on desktop, smartphone and tablet. Our RailHub suite is available via mobiles and tablet devices, allowing the rail industry’s digitally engaged workforce to become more productive. Moving forward, we are going to be working even more closely with our partner in apps, Nutshell Apps, to continue helping the rail industry on their digital acceleration journey. Nutshell Apps is a pioneering and innovative drag and drop app building platform that puts the power of change into the hands of those who utilise the product. As the rail industry continues its progression towards an entirely digital future, having a platform that enables the rail workforce to create their own digital alternatives to paper-based or time-consuming manual processes is increasingly important for the industry to consider. Using the Nutshell mobile app development platform, companies in rail can build their own apps and connect them to their entire IT ecosystem, without any technical knowledge or experience necessary. Nutshell Apps makes the decision to go paperless even easier, and being fully customisable within the RailHub platform means that we can continue to be incredibly proud to work alongside OnTrac during a truly pivotal moment in the rail industry’s legacy. 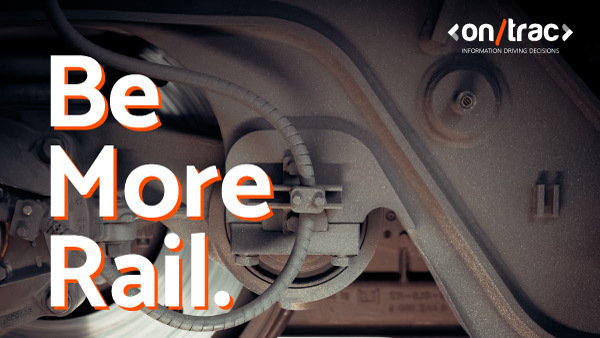 The speed at which the rail industry has progressed and transformed recently, makes what we’re doing here at OnTrac even more exciting. Moving forward, we want to work even more closely with the industry that is both deep-rooted into our country’s history and foundation, as it continues its digital acceleration. We want to be the obvious solution to the rail industry’s problems by continuing to support our customers – and the rail industry – on their digital journey.